In 2010, award-winning professor Steven Strogatz wrote a series for The New York Times online called “The Elements of Math.” It was hugely popular: Each piece climbed the most emailed list and elicited hundreds of comments. Readers begged for more, and Steven has now delivered. In this fun, fast-paced book, he offers us all a second chance at math. 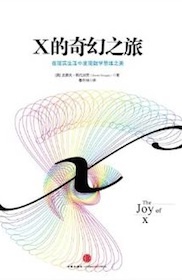 Each short chapter of The Joy of x provides an “Aha!” moment, starting with why numbers are helpful, and moving on to such topics as shapes, calculus, fat tails, and infinity. Steven explains the ideas of math gently and clearly, with wit, insight, and brilliant illustrations. 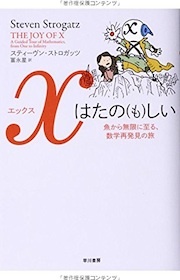 Assuming no knowledge, only curiosity, he shows how math connects to literature, philosophy, law, medicine, art, business, even pop culture and current events. For example, did O.J. do it? How should you flip your mattress to get the maximum wear out of it? How does Google search the Internet? How many people should you date before settling down? 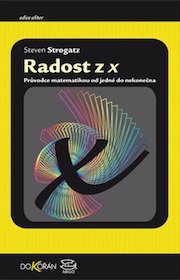 Strogatz is the math teacher you wish you’d had, and The Joy of x is the book you’ll want to give to all your smart and curious friends. — James Gleick, author of The Information and Chaos. — Janna Levin, professor of physics and astronomy, Barnard College, Columbia University, and author of How the Universe Got Its Spots and A Madman Dreams of Turing Machines.